December | 2011 | Middle-Aged Woman (newly) On The Run! 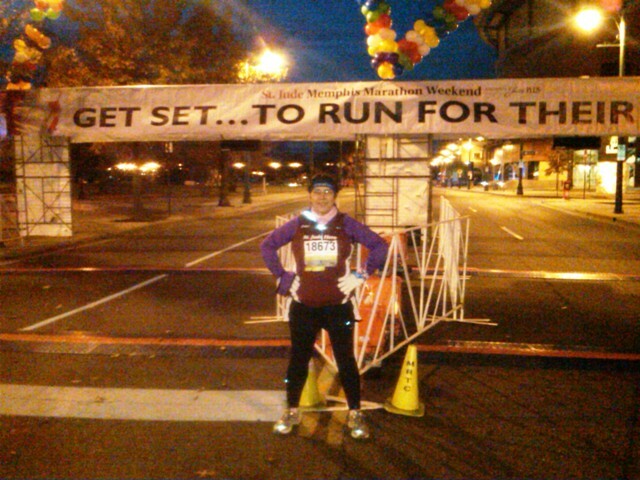 You’re doing a Half-Marathon WHEN?! That wasn’t exactly what I was asked by a friend – and fellow new runner – last night on Facebook, but I’m pretty certain that was what was in his head when he posted his comment about our plans to run a Half-Marathon in March. But here’s the deal: March’s Half isn’t really our Goal Run. We’re using the Germantown Half-Marathon as a test run during our preparation for the Half-Marathon that is part of The US Air Force Marathon Weekend. We’re using Jeff Galloway’s half-marathon training method and plan to follow that pretty much to the letter. I’m figuring the Germantown in March will be done in a pretty even split between running and walking with no particular finishing time in mind. Okay, maybe we will have a finishing time in mind, but it will be a pretty generous number! The real goal will be – as Galloway says – to finish “vertical and breathing”. 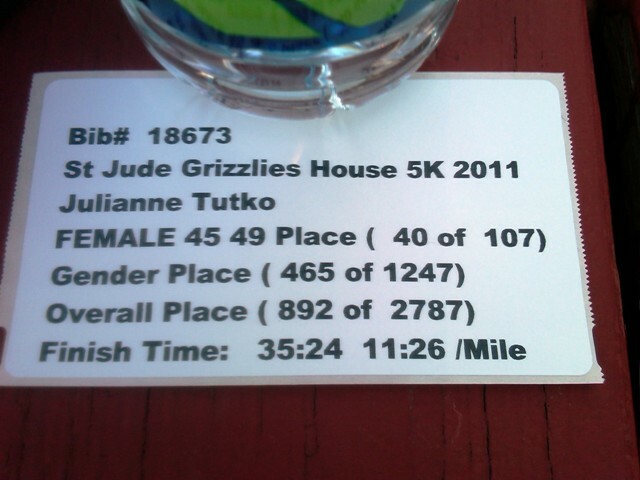 I’d say that’s a pretty good goal for someone running a half only six months after finishing her first 5K as a runner! 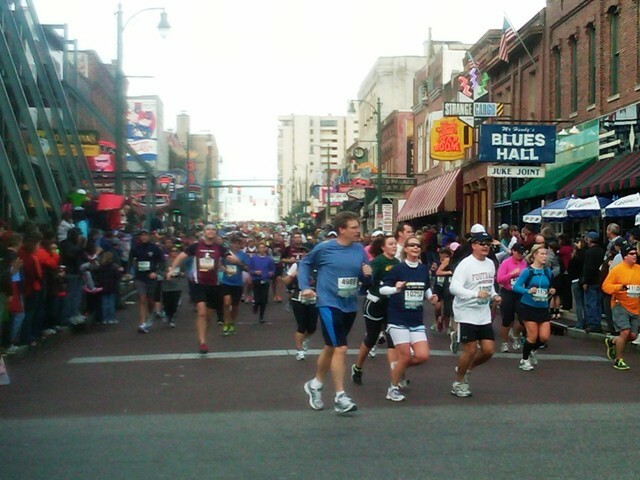 This past weekend was St. Jude Marathon Weekend here in Memphis. 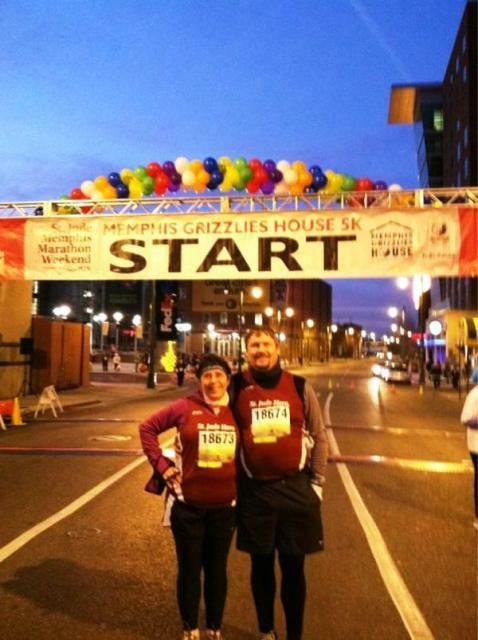 Rich and I ran the Memphis Grizzlies House 5K. It wasn’t a “best run” for either of us by a long shot, but that really isn’t the point of the 5K at this event. 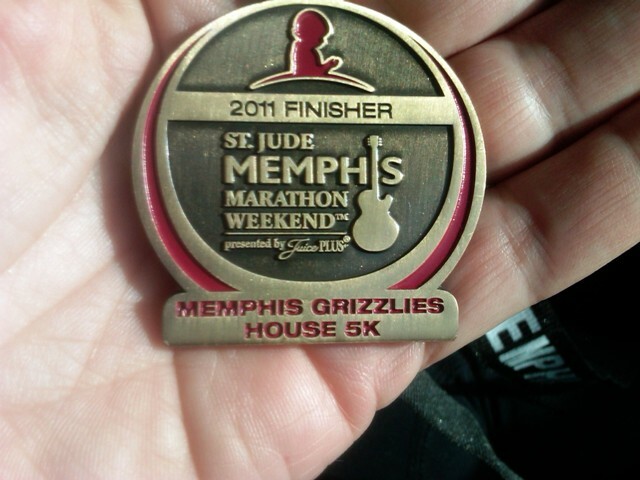 This is one of those “It’s more about the cause than the race” 5Ks. Here are some pictures from the day. Enjoy! At the Starting Line pre-race. See that little girl? 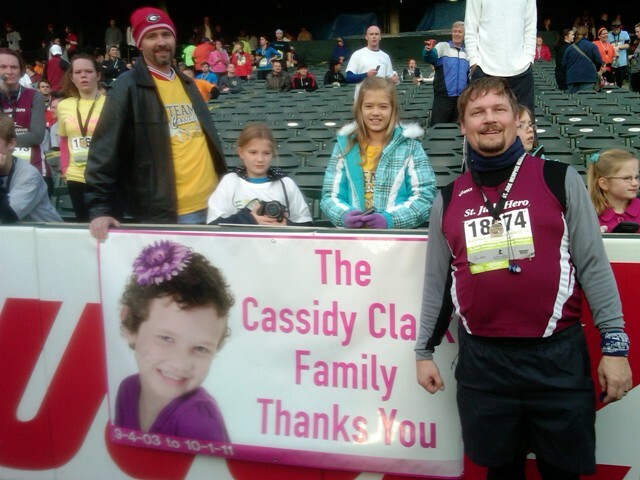 She's why we ran. No, we don't know her. But she's why we ran. My Stats as of when I finished. I can live with them given the three weeks 'down time' from training due to illness and injury. The Halfers and Marathoners. Next year we'll be running The Half. 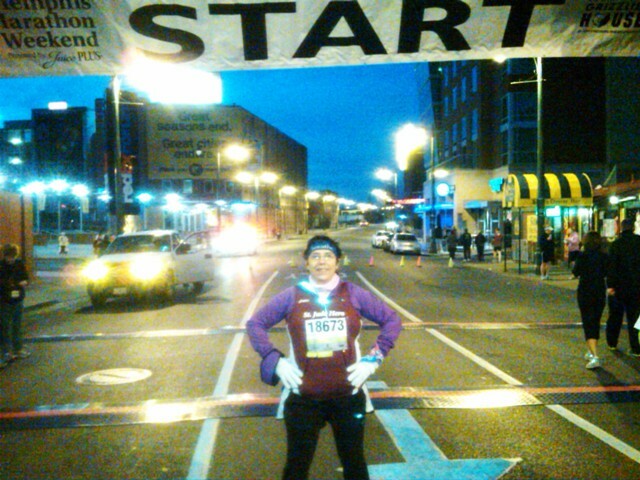 This is me at the Half Marathon/Marathon Starting Line! Practicing for next year's Start! 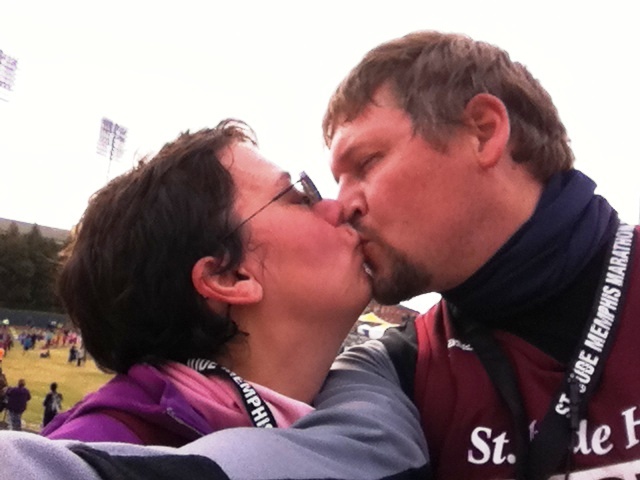 The best part of the race for me – aside from knowing that we were doing this for The Kids of St. Jude – was finishing this race literally hand-in-hand with my beloved husband Rich. Because he has been running longer, is taller, and has a longer stride than me he runs at a faster pace; therefore we don’t finish a lot of races actually, physically Together. This time he held back on his pace. In part because he was coming off three weeks of injury recovery, but also intentionally to stay with me to keep me encouraged and “going” up the hills. And we crossed the finish line hand-in-hand. Which was really very cool! And yes, I puddled up.